Join others in the challenge of writing a novel in one month during National Novel Writing Month, 5 to 8 p.m. Nov. 4, 11 and 18; 1 to 4 p.m. Nov. 25. Writing instruction not provided. Visit nanowrimo.org for details. Get an insider’s view of a veteran’s experience in Iraq and Afghanistan, along with information about benefits and services offered by the Albany County Veterans Services Bureau, 1:30 p.m.
Watch “The Lady in the Van” (Sony Pictures, PG-13, 104 min. ), about a London playwright who develops an unlikely friendship with a homeless woman, 2 p.m.
John Simon — music producer, composer, writer and performing artist — will discuss how he first became involved with The Band and how the music came together, 1 p.m. Doors open at 12:45 p.m. Co-sponsored by The Egg Center for the Performing Arts. An introduction to the practice of meditation and mindfulness taught by instructors from the Shambhala Meditation Center of Albany. Wear comfortable clothing, 2:30 to 4 p.m.
An adults-only gathering where you can play games, color and socialize, 6:30 to 8:30 p.m. Snacks will be served. Discuss “The Water Knife” by Paolo Bacigalupi, 7 p.m. Copies are available at the information desk. Large-print audio and downloadable copies may be available. Call 1-800-RED-CROSS or go to www.redcrossblood.org for more information and to schedule an appointment, noon to 6 p.m. Walk-ins welcome. Learn about the fascinating history of destroyer escorts, featuring staff from the USS Slater, 1 to 3 p.m. Hour-long program is followed by a coffee hour featuring beverages and light refreshments. Meet on the library plaza for some bird watching with environmental educator George Steele, 10:15 to 11 a.m. Bring your own binoculars or use ours. Please dress for the weather. Rain date: Nov. 19. For adults, teens, children and families. A Little Sunday Music performance featuring soloists, duos and trios on piano, violin, cello, flute and clarinet, 2 p.m. 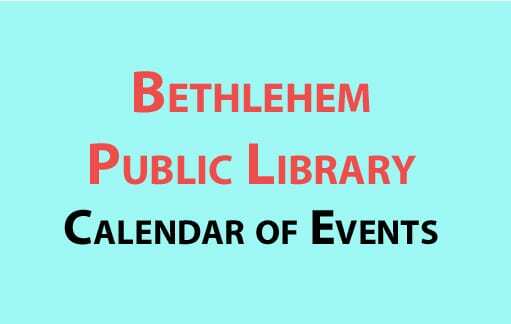 Sponsored by Friends of Bethlehem Public Library. Discuss “The Accidental Empress” by Allison Pataki, 1:30 p.m. Copies are available at the information desk. Large-print audio and downloadable copies may be available. Make a cowl scarf using just your fingers and some yarn, 1:30 to 3:30 p.m. Bring one skein of bulky yarn. No experience necessary. Help promote reading for a BPL marketing campaign and star in your very own READ poster. Get your picture taken with your favorite book — bring your own or borrow one from us. Participants will receive a digital copy of the completed poster. 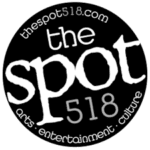 Sign up to drop in during one of three hour-long time slots between 5 to 8 p.m. No green clothing, please. Listen to and discuss this dazzling, contemporary jazz guitarist, 7 p.m.
Popular duo will entertain with selections from the Great American Songbook and more, 1 to 3 p.m. Hour-long program is followed by a coffee hour featuring beverages and light refreshments. Get the tools and resources you’ll need to prepare for, and recover from, any type of disaster. Attendees receive an emergency prep starter kit. Must register with Citizen Preparedness Corps atwww.prepare.ny.gov/training-events. Presented by the New York National Guard, Division of Homeland Security, Office of Emergency Management and Office of Fire Prevention and Control, 2:30 p.m.
Watch “Hunt for the Wilderpeople” (Sony Pictures, PG-13, 101 min. ), a story about a boy and his foster father who become the subjects of a manhunt after they get stranded in the New Zealand wilderness, 2 p.m. If you’re an experienced knitter, bring your current project. If you’re a beginner, bring size 8 knitting needles; we’ll provide yarn and get you started, 2 to 3 p.m. For adults, teens and kids age 9 and up. Also Monday, Nov. 28. Learn the basics of using Microsoft Word 2010 in this two-session program, 10 a.m. to noon. Sign up online or call. Sewing machines will be available for independent projects, 6 to 8 p.m. Bring your own supplies. Sign up for one or more two-hour sessions. Relax and improve your focus with coloring or Zentangle, a tranquil drawing technique that uses patterns to create beautiful images, 2 to 3:30 p.m. Refreshments will be served. Sign up online or call. Spend an hour writing, with the final half hour for optional sharing and feedback, 1:30 to 3 p.m. All genres/abilities welcome. Sign up alone or as a team and match wits with others in the written format, 7 p.m. Prizes donated by the Friends of the Library.